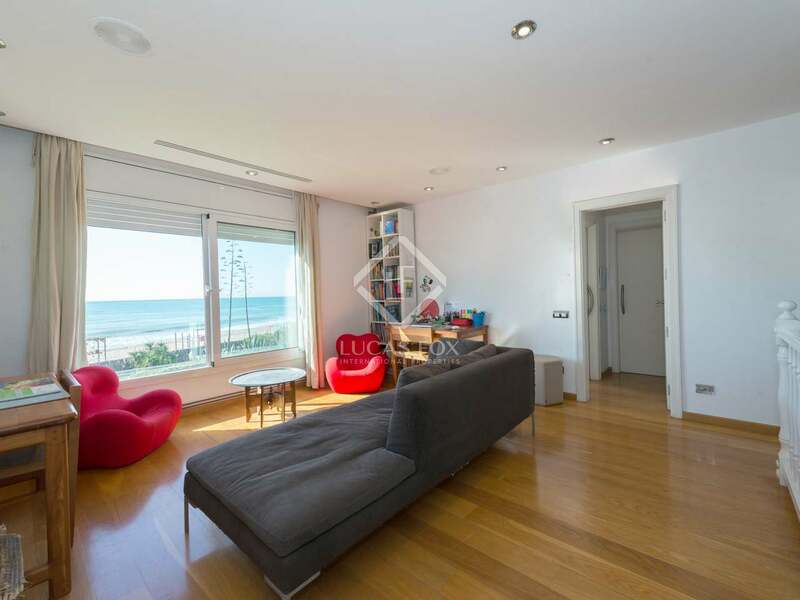 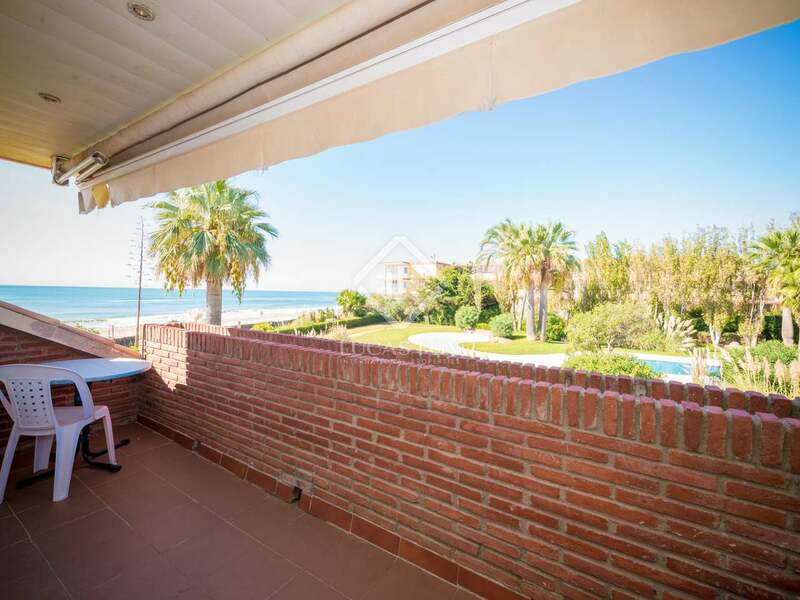 The presence of the sea can be felt throughout this wonderful family beach home. 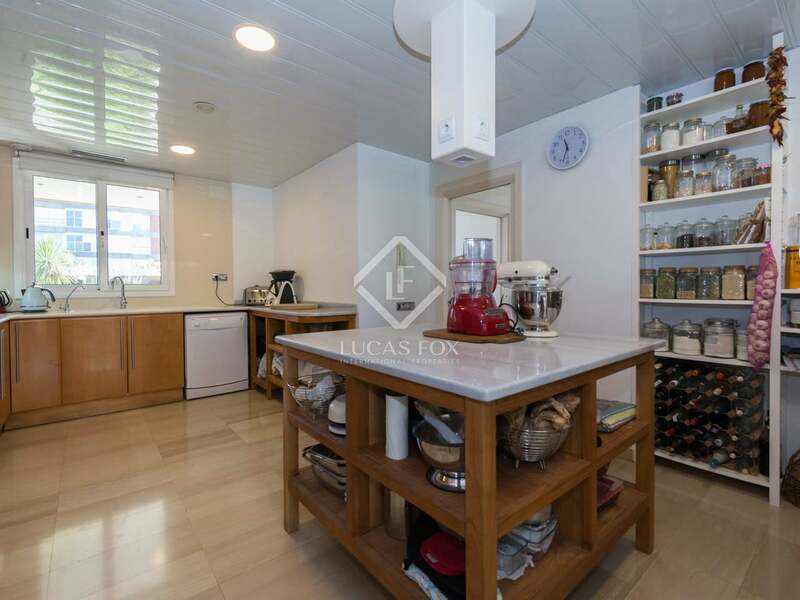 We enter through the entrance hall and when entering there is a large kitchen that opens onto the porch and then the garden. 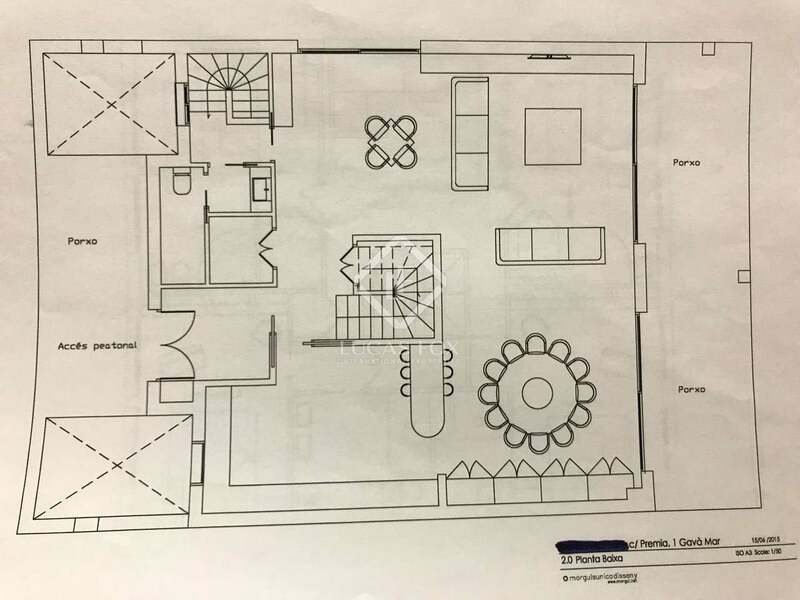 On the left there is a huge living room with a fireplace and a dining table with a sofa area and a small bathroom with a shower. 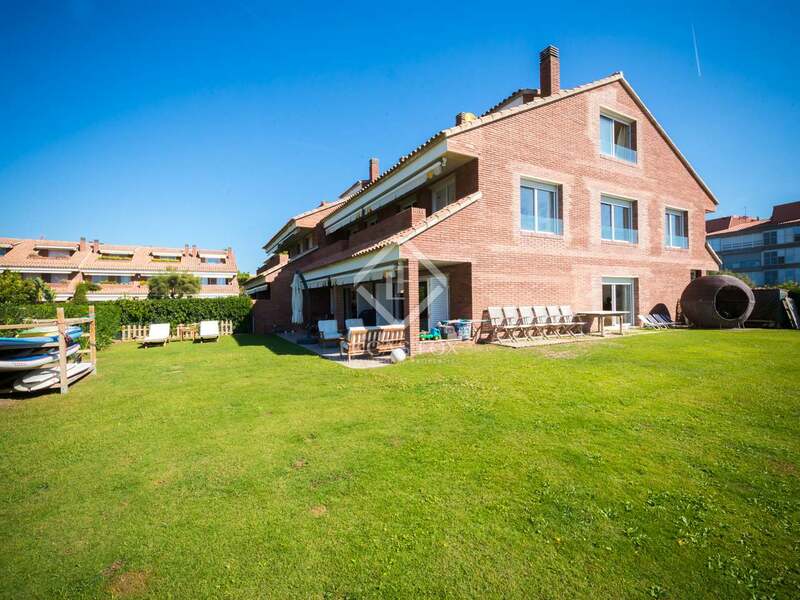 The house has a built size of 610 m2 with a garden of 500 m2, and has 3 balconies. 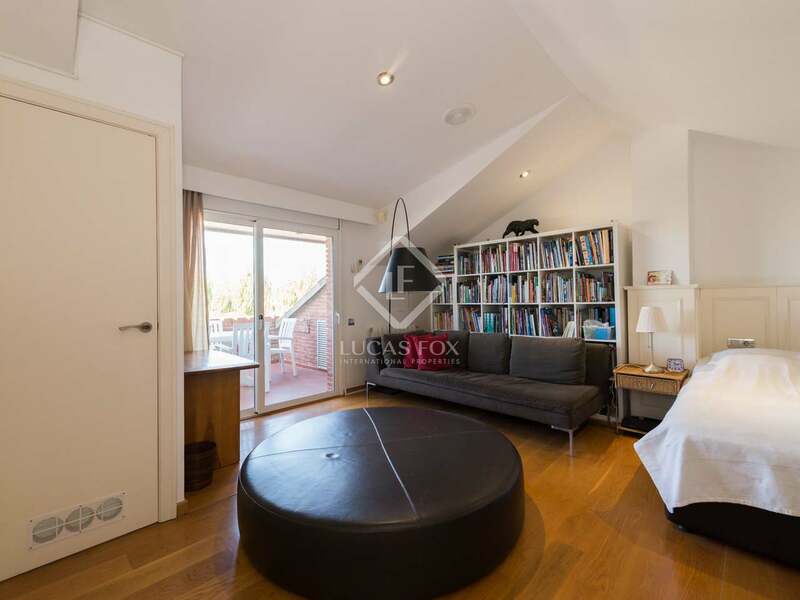 On the first floor there are 4 double bedrooms, each with its own bathroom and dressing area. When we climb the stairs and reach the second floor we find a study area in the middle with a large sofa and magnificent views of the sea. 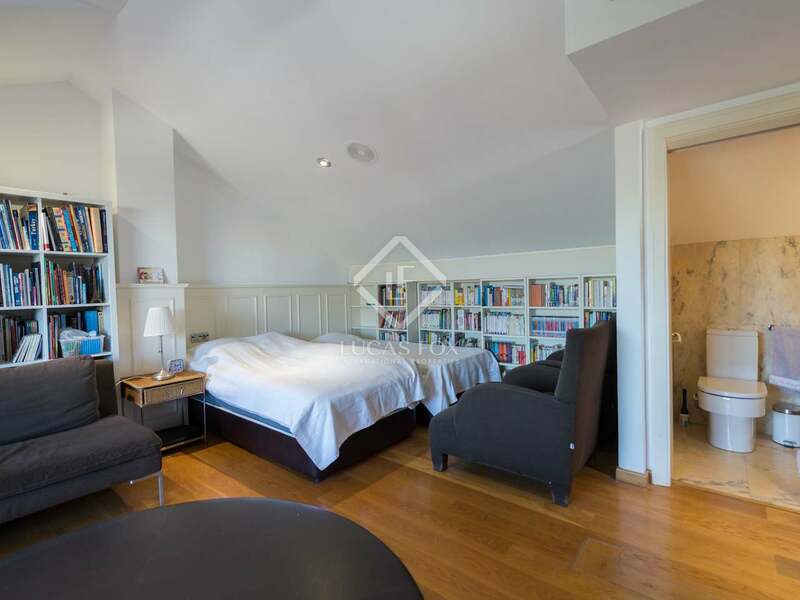 In addition, there are 2 other double bedrooms with their own bathroom and one of the 2 bedrooms has a balcony. 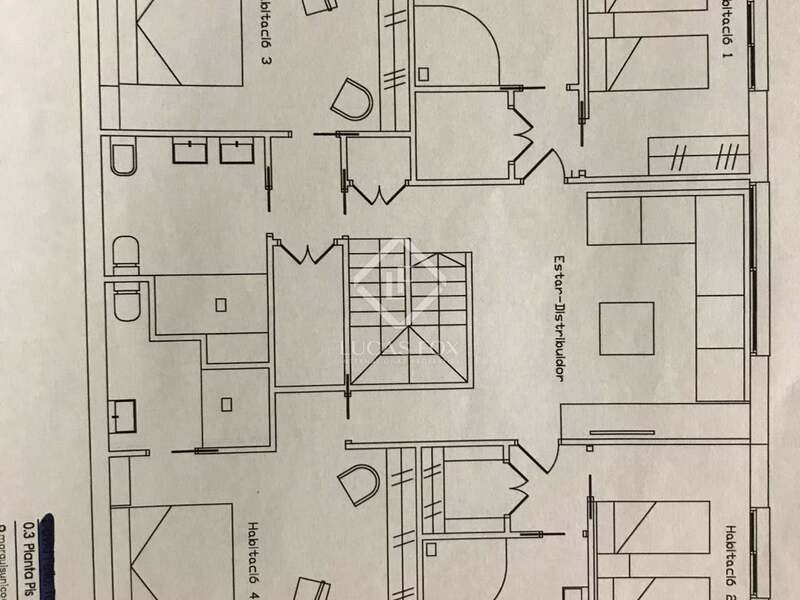 On the lower ground floor there is another bedroom, bathroom, the utility room, the laundry room, a ventilated mechanical room and another ventilated area where you can store vegetables or food. 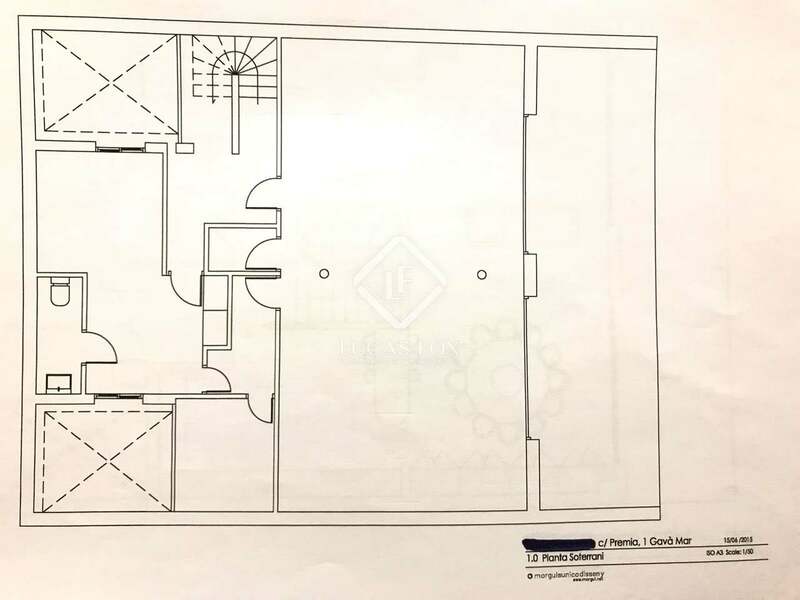 Apart there is a parking area for 4 vehicles that also serves as a storage room. 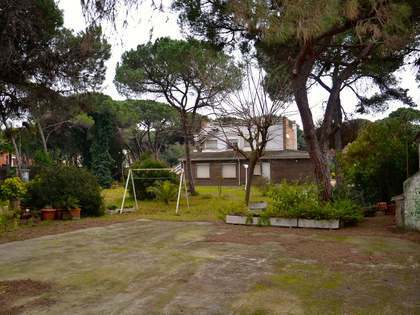 Outside there is a parking area with a pergola for 4 more cars. 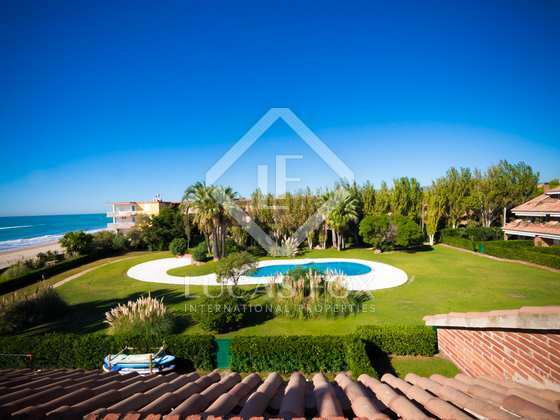 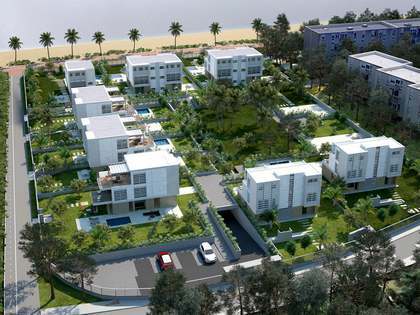 The garden faces the sea, on one side, and the communal area with pool and trees, on the other. 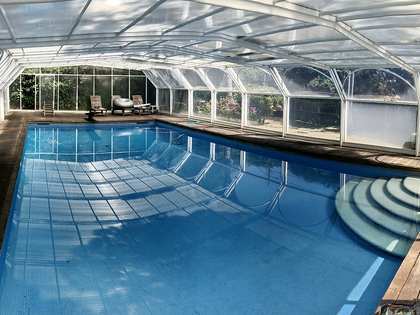 Recently the heating and air conditioning systems have been updated. 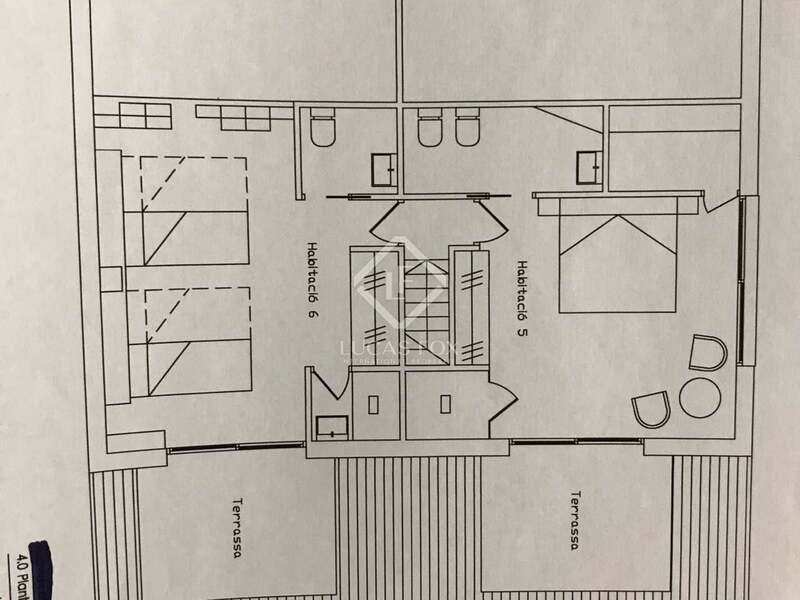 The house also has a room for the service staff on the lower ground floor. 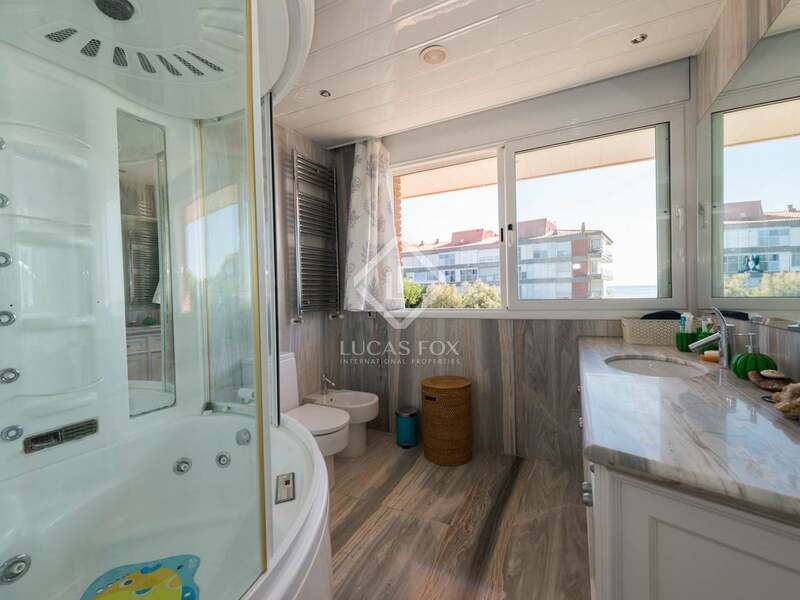 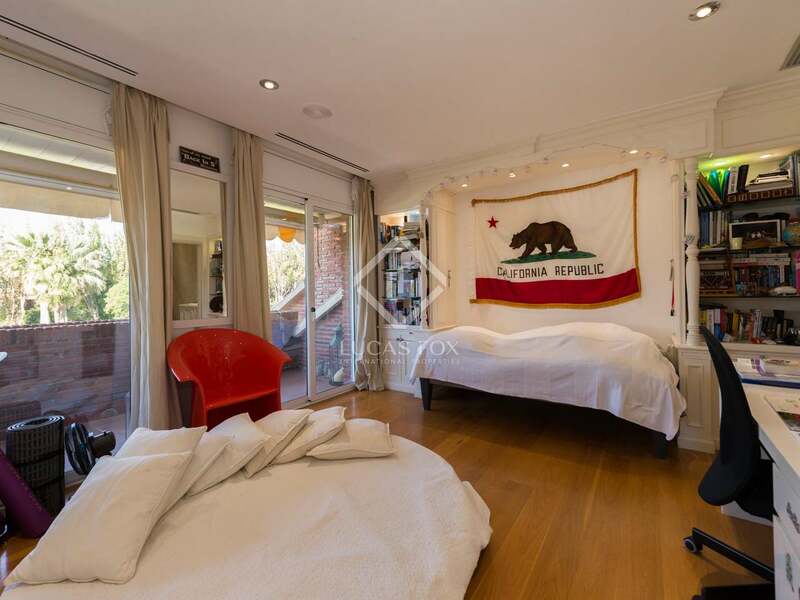 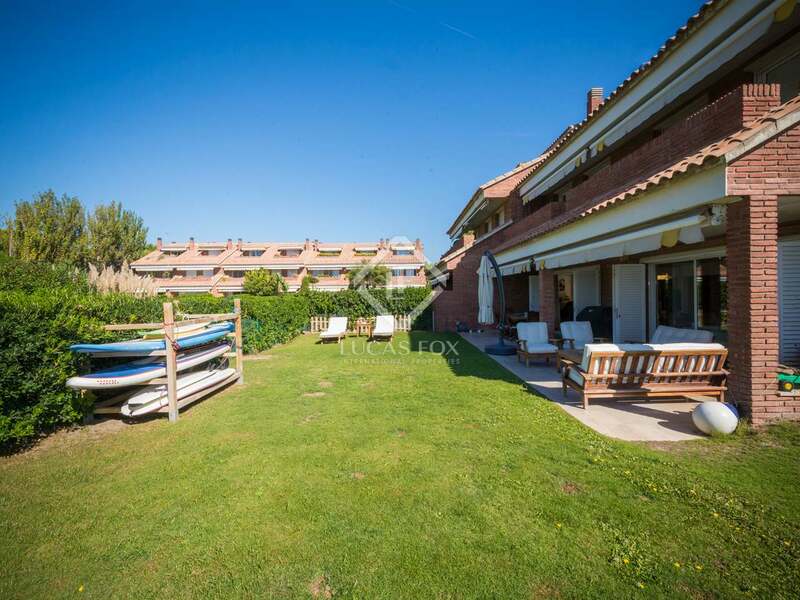 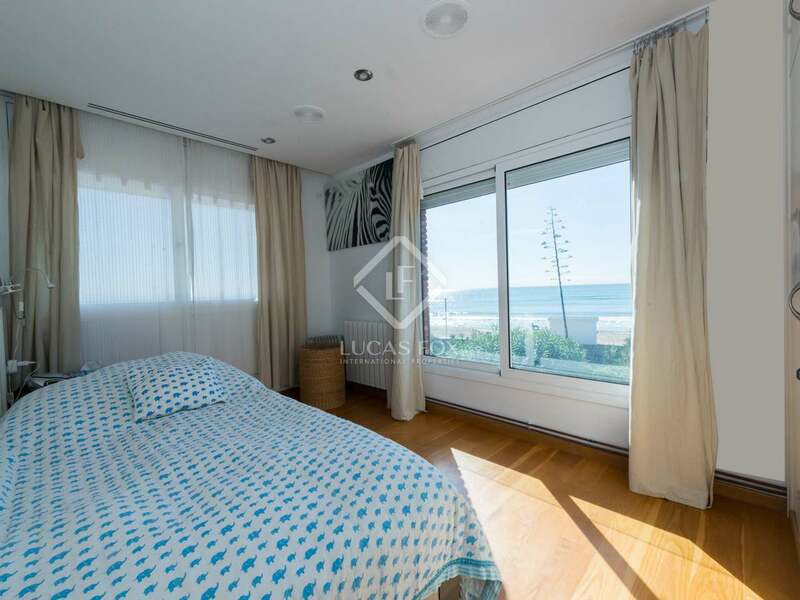 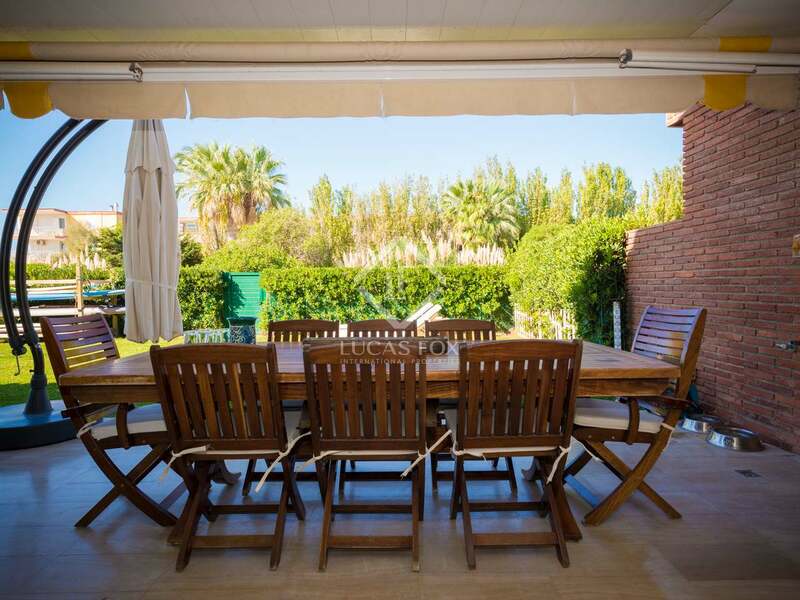 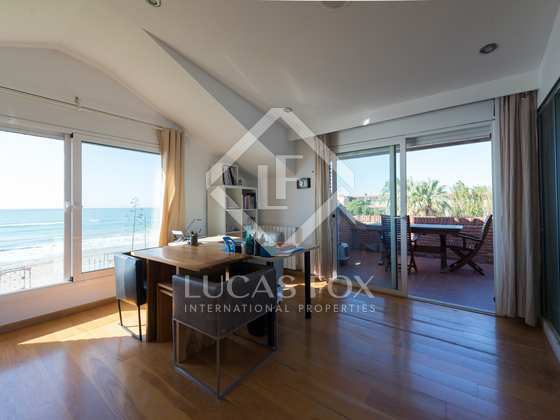 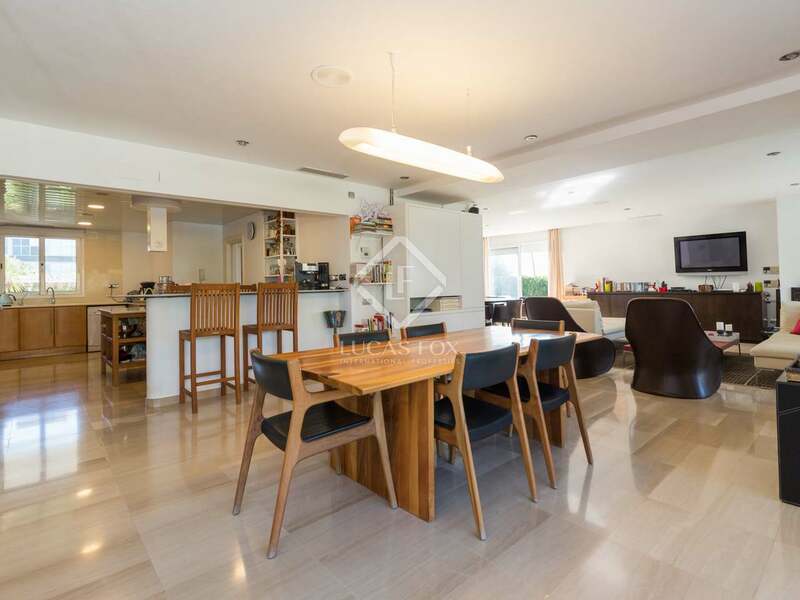 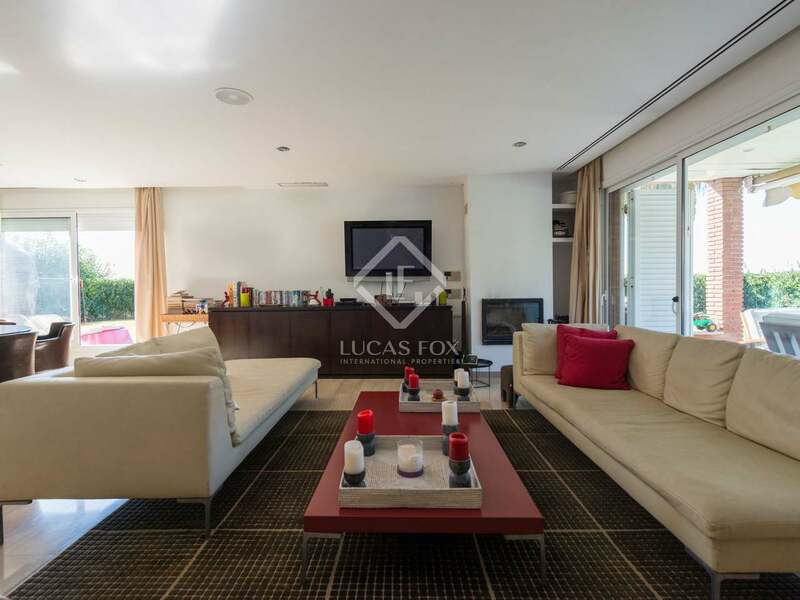 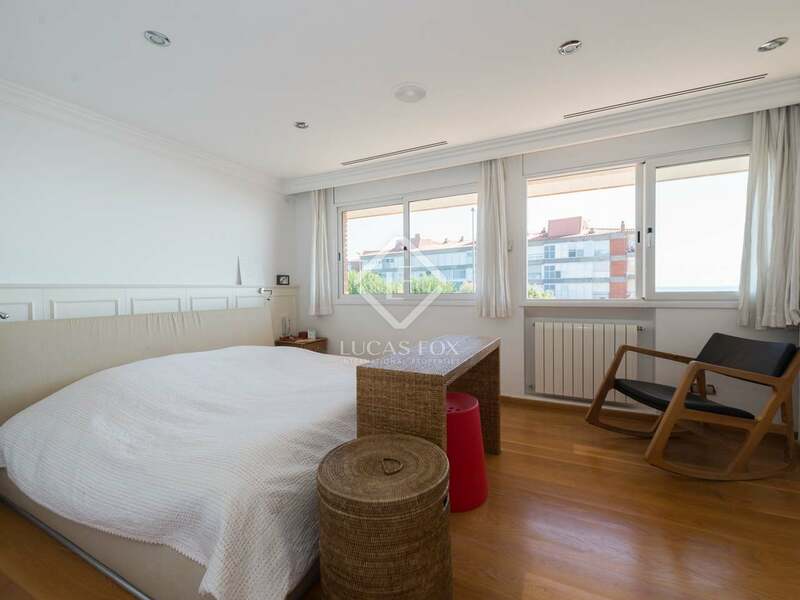 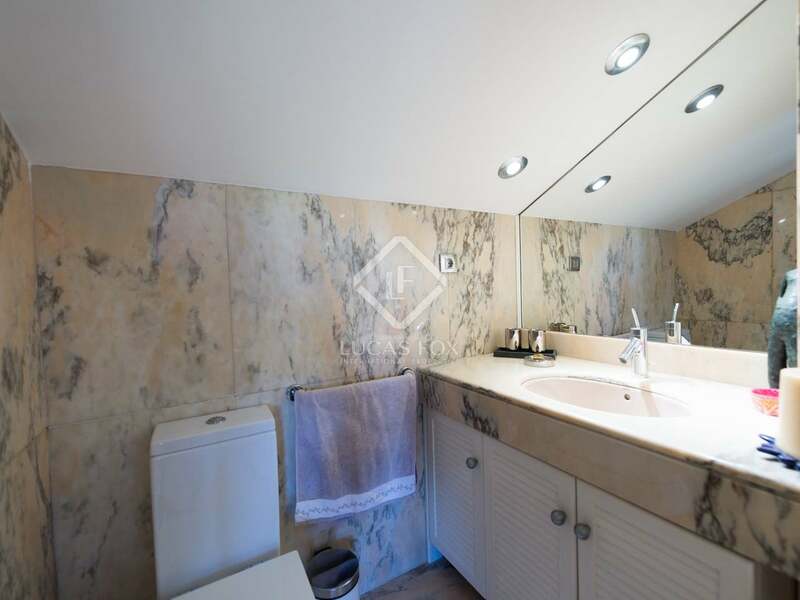 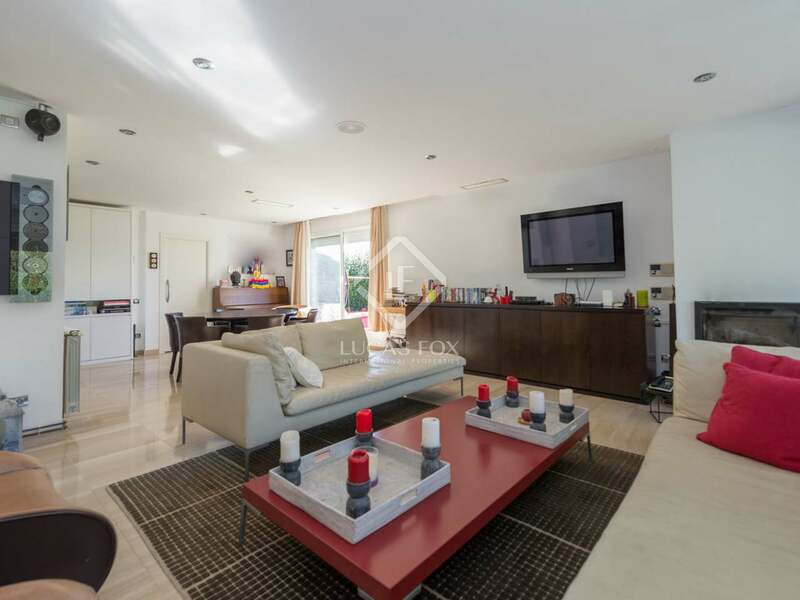 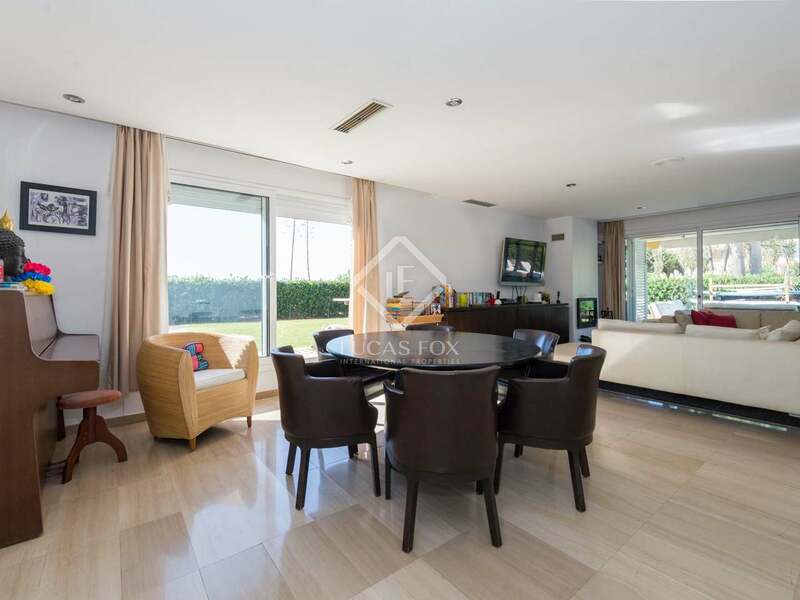 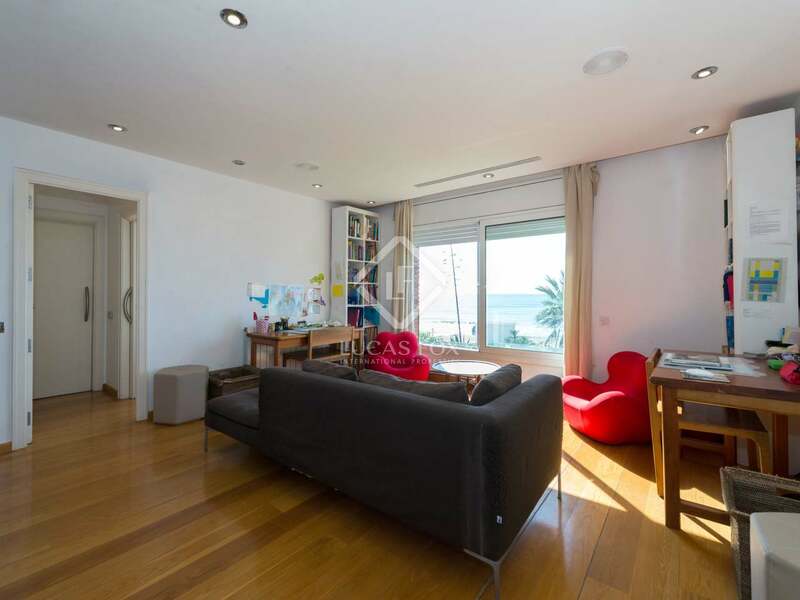 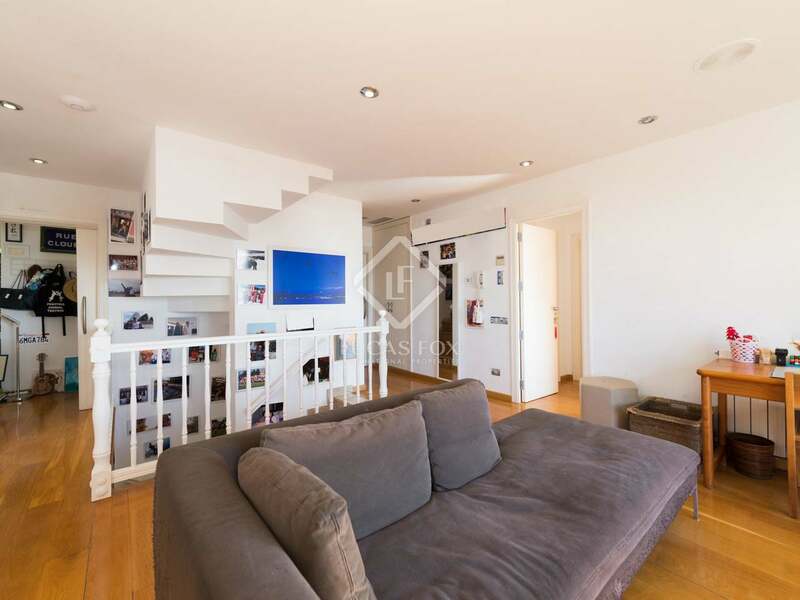 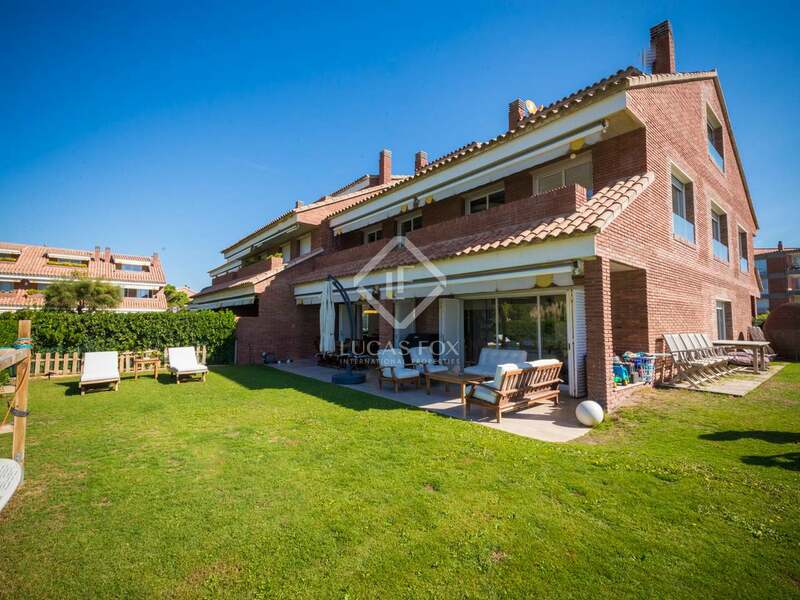 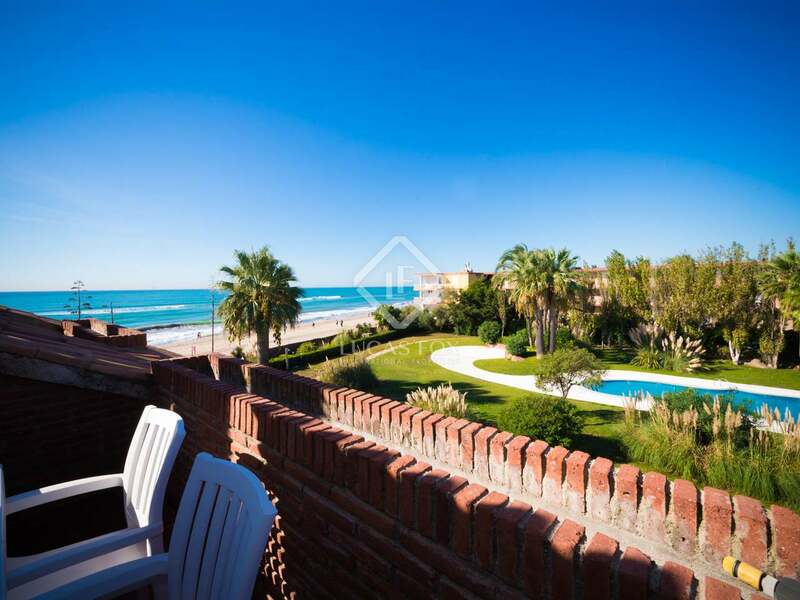 This house is perfect for families who work in the city and want to live peacefully, away from the bustle of the city, and also for foreign investors who want to obtain the Golden Visa in Spain. 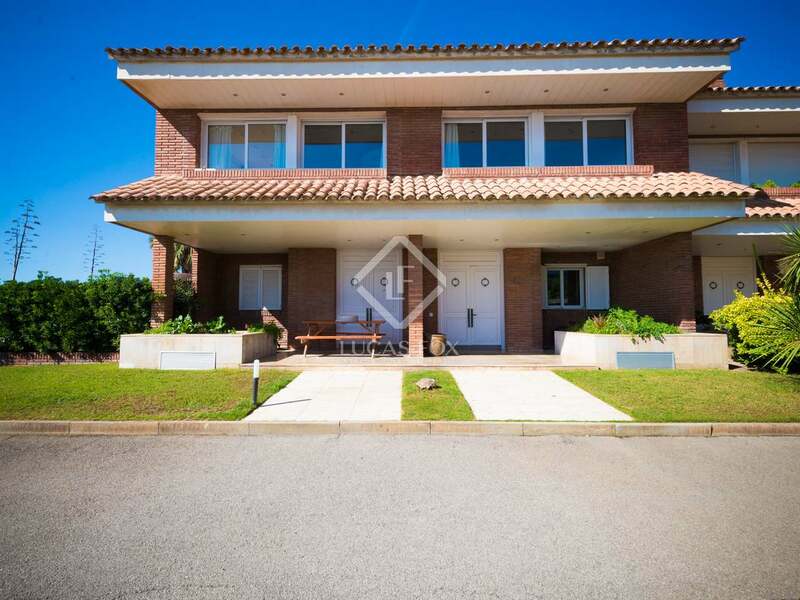 This house is located in Gavà and has a bus stop nearby that goes to Barcelona. 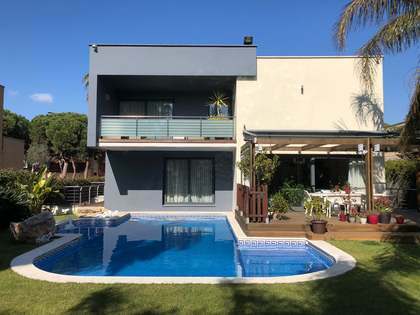 It is 6 minutes by car from the airport, a few minutes from the British School of Gavà and 5 minutes from the restaurants of Castelldefels.